Recent graduates tell their stories of success – why they joined the programme, how they got on in the workplace, and how they see their career in accountancy and finance developing now that they are fully qualified Members of Accounting Technicians Ireland. A last-minute suggestion from her careers teacher led to a prestigious accountancy award for Catherine Devine. The 21-year-old attained first place in the Accounting Technicians Ireland course at Belfast Metropolitan College and won the Accountancy Apprentice of the Year 2017 at the PQ Magazine Awards. 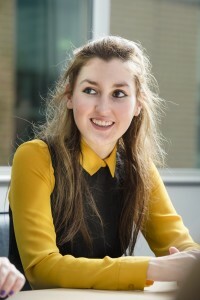 The BDO (Accountants) employee surpassed fierce competition from accountancy apprentices across the UK when she obtained an overall distinction and the highest marks in her college peer group. Numbers are in the blood in Catherine’s family and with relations working in economics and teaching maths, accountancy seemed to be a natural choice. “I’ve always wanted to study accountancy but didn’t think university was for me,” said Catherine. In the ATI course, successful apprentices will spend four days working with the employer and one day in college during the two-year course. Students can earn while they learn which gives them valuable experience when going for interview as well as taking the cost burden of fees away from them. “I did the two-year apprenticeship programme straight out of school and I loved it. I loved that there were no fees and you could earn as you worked. Catherine has remained at BDO and has furthered her studies, completing her first year in chartered accountancy. “The ATI programme gave me an amazing grounding. The course was so comprehensive that I received an exemption from three subjects this year, because I had already studied them with the ATI. 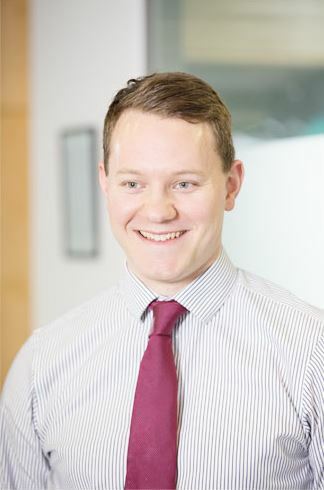 Philip Baillie (29) can proudly state that Accountants Technicians Ireland (ATI) helped him on the road to becoming the third generation of accountants in his family. Philip’s dad Peter and grandfather James were both hugely impressed with the ‘earn as you learn’ scheme which Philip travelled home from London to undertake in his home town of Belfast. “I always enjoyed working with numbers and used to go to work experience with my dad while I was at school,” he said. “Accountancy is a lovely profession. It opens up doors and opportunities to work in varied companies. Philip has just completed his first year towards chartered accountancy and said he was able to bypass some of the subjects, because he had already studied them in the ATI course. “I did a degree in languages but I always seemed to have a pull towards studying accountancy. “I was working in a finance-related area in London so when I came home, I decided to go down the graduate route with the ATI at Belfast Metropolitan College. “In the ATI course, successful apprentices will spend four days working with the employer and one day in college during the two-year course,” says Philip. “It was great that I was able to work and study at the same time and the one day at college meant that I was able to meet like-minded students and make contacts. “A lot of other courses didn’t have the same opportunity to work as ATI were giving. “Working was challenging at first as you’re trying to understand the business environment while studying but my employers and college tutors were hugely supportive.